Have the winter Olympics made you crave the thrill of hitting the slopes? If so, then an Italian ski holiday may be just what the doctor ordered. Check out these resort destinations that take the environment seriously. Natural locations that are simply beautiful! Andalo Ski Resort is set in a friendly village with beautiful scenery and lots of activity. It has a methodically manicured ski area that has magnificent snow-making capabilities as well as an awesome lift system. Andalo has many different runs, which are perfectly groomed by a conscientious lift company. The runs are reliably covered in fresh powder, even when it hasn’t snowed recently as their outstanding snowmakers cover approximately 95% of their runs. See some amazing Andalo videos here and see for yourself. The slopes here are great for snowboarders and skiers of varying abilities. For beginning skiers, the village and mid stations both have outstanding nurseries that are always covered in snow. There are plenty of blue and red runs for intermediate skiers with no unpleasant surprises or flat sections. New black runs are available as well as mogul and off-piste runs above the high slopes for advanced skiers. While there are no specified snowboard parks at Andalo, the off-piste areas provide them with an enjoyable ride. Claviere is a short 10-minute drive from neighbouring ski resort Montegenevre in France. In addition to access to Montegenevre, holiday goers at Claviere also have access to all 350 kilometres of marked pistes on the Milky Way circuit. Claviere and the slopes available through the Milky Way circuit have great snow records, as well as many different options for skiing. Beginning skiers have an enjoyable nursery area as well as a large blue run that begins above the trees and ends at the village. Intermediate skiers will be thrilled with all of the choices that they have going off-piste and through the trees. If you are an advanced skier, then there are great red options as well as access to all of the runs on the Milky Way circuit. 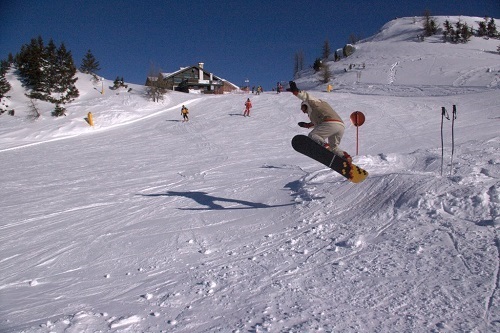 There are four snow parks for snowboarders located on the circuit: Sestriere, Cesana San Sicario, Montegenevre, and SauzeD’Oulx. 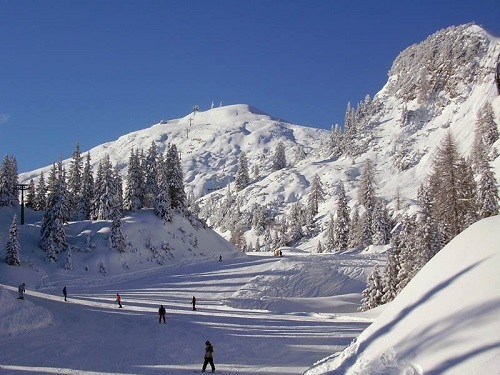 Folgarida is located in a snow-sure area that is made up of Madonna di Campiglio, Folgarida, and Marilleva. The runs in all of the villages link seamlessly, making for a larger ski area. The scenery in the area is amazing, the lifts great, the people kind, and the hotels outstanding. They have everything that they need to make a great ski holiday. The local micro-climate plus the east and north-facing slopes make for excellent natural snow. As a result, the runs rarely have poor snow, and the runs are wonderfully groomed. 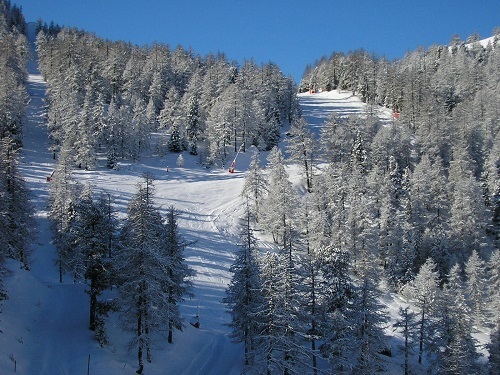 Folgarida ski resort is a great place for beginners to learn. Their ski school is located at the mid station where there is a mild rise that novices can easily access from their easy-to-manage, wide, two-man gondolas. The blue runs are beautiful and gentle, allowing even beginners to get the most out of their lift passes. Both intermediate and advanced skiers also have many options for great skiing. Almost all of the routes have both a blue and a red option for intermediate skiers. Advanced skiers have never-ending options for off-piste skiing. All of the off-piste routes link to other areas too, allowing them to really explore. It’s a great resort for a group ski holiday. For more great information be sure to check out the Rocket Ski site. I hope to see you on the slopes soon and with a greener attitude. This entry was posted in Europe, Skiing, Travel, Winter Sports and tagged Eco Friendly, Green, Italy, Ski Resorts, Skiing. Bookmark the permalink.